BlizzCon 2016 kicks off today, and you can watch the opening ceremony right here. Blizzard boss Mike Morhaime kicked things off. He reiterated that the next content is update is in the works, and that Mischief is the fell kitty is the pet this year for the Make a Wish Foundation. 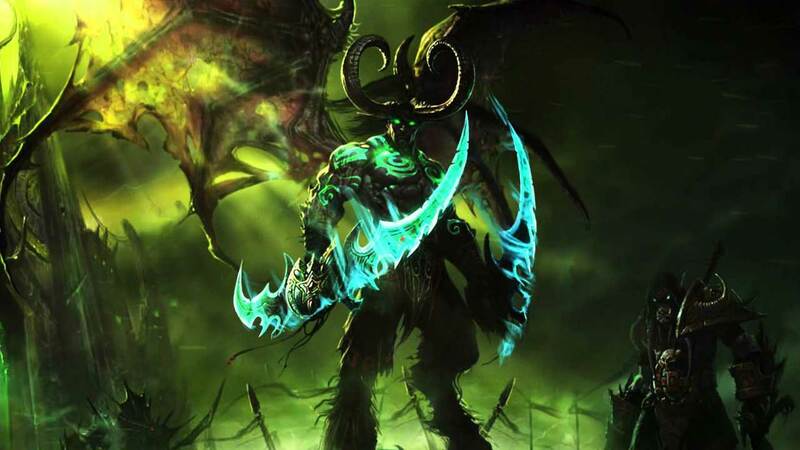 He also announced that Blizzard co-founder Allen Adham had left retirement and has re-joined the company. Sombra was finally announced via a new Overwatch short called Infiltration. Senior producer Kaeo Milker can on stage to discuss Heroes of the Storm, and a new brawl called Blackheart’s Revenge, coming to the game next week. Varian Wrynn, a multi-class hero, was also announced as the next hero for the game along with Ragnaros the Firelord – who can make himself very large on the battlefield. Both are playable at BlizzCon, coming to the PTS and Varian is out November 15 and Ragnaros releases in December. Starting November 15, a HotS event will kicks off. Pair up with friends and win at least 15 games to earn rewards such as skins, and portraits for the game and Overwatch. Earn 30 game victories, and unlock free heroes and a 30 day stimpack for HotS. Executive producer Hamilton Chu announced the next Hearthstone adventure taking place in the goblin town of Gadgetzan. After giving attendees a history lesson on the city, he revealed the next expansion will take place in the shadier area of town. Makes since, since the new adventure is called Mean Streets of Gadgetzan, where three notorious crime families run things. One of the cards shoots piranha and is mainly used by Hunters and is handed out by the Goons. There are also the stealthy Lotus Assassins and the Kabal who are potion oriented. It’s slated for release in early December. An anniversary patch called the Darkening of Tristram is in development and will send players back to the Cathedral. The dungeon is 16 levels deep and includes four bosses from the main game – and the original Diablo awaits at the bottom. Hell yeah. It will have original graphics filters as an option – with 8-degree directional movements even. How retro is that? Two new zones, Shrouded Moors and Temple of the First Born coming next year along with the Necromancer class. We’ve embedded the Twitch stream above, but you can also watch via the official BlizzCon website and MLG.tv. Quite a bit is expected out of today’s livestream, and there have been a couple of rumors swirling around – mainly pertaining to Diablo 4. Of course, it could just be news for Diablo 3. Artwork showing the Necromancer class was posted on the Blizzard website this week before being pulled. We’ll have to wait and see. It is Diablo’s 20th Anniversary after all, and Blizzard has something up their sleeve for it late this evening. It’s quite possible the studio will finally announce Sombra for Overwatch, as BlizzCon is the perfect event for such as reveal. Especially after all the ARG teasing and the character constantly popping up everywhere – even through leaked artwork on the Blizzard website. We’re really keeping our fingers crossed on this one, because it’s about time. A Goblin-themed adventure has been teased for Hearthstone, so we expect that to be announced, and surely we’ll hear more on future plans for World of Warcraft: Legion, of course Heroes of the Storm and possibly some StarCraft 2 goodness. It would also be nice to hear about possible, future updates to Diablo 2 and other legacy titles. Here’s the schedule for the main stage, all in Pacific and Eastern. Find what time everything starts in your region through here. The opening ceremony is being streamed for free, but a Virtual Ticket is needed to watch the panels. This also means, we probably won’t be able to bring you the news out these panels until the information is made available after the fact – or liveblogged by someone at BlizzCon. The Overwatch World Cup finals are also being hosted this weekend, so if you are an eSports fan, you can find out more on the event through the link. The WoW Arena Championships kick off at 9am PT/12pm ET, Heroes of the Storm eSpots kicks off later today, and more events will occur throughout the day and into tomorrow. You can look over the entire eSpots schedule through here, and it also provides more information on panels. The opening ceremony kicks off at 11am PT, 2pm ET, 7pm UK and we’ll pull any interesting news that comes out of the show.